Living a Fit and Full Life: Take Kids on a Journey with It Starts With a Seed by Laura Knowles! Take Kids on a Journey with It Starts With a Seed by Laura Knowles! Take kids on a journey with It Starts With a Seed by Laura Knowles! 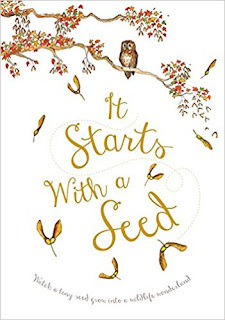 It Starts With a Seed by Laura Knowles takes kids on a journey through the seasons and years as they follow the seed’s transformation from a seedling to a sapling, then a young tree, until it becomes a large tree with its branches and roots filling the page. As the tree grows, it's filled with life as the woodland creates make it their home. My kids and I love this book and it's quickly become one of our bedtime favorites. My kids ask to read it every night and never seem to tire of it. The illustrations are beautiful and fun and I often find my kids just flipping through the book just to see the beautiful illustrations. 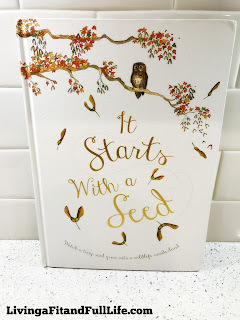 It Starts With a Seed by Laura Knowles has a beautiful enchanting message of life and growth that my family and I absolutely love! It's the perfect book for little ones! You can find It Starts With a Seed by Laura Knowles on Amazon, Barnes and Noble and other bookstores.